Authorities say the bus was driving down Route 1 in North Attleboro around 2 p.m., when it pulled over to the right-hand lane to drop off a passenger, and the former mayor’s car crashed into it from behind. As soon as the accident occurred, bystanders called 911, and some ran over to the scene to see if there was anything they could do to help. The police arrived very quickly, and, as the first officer was getting out of his cruiser, a man and his wife in a red pickup truck pulled over to offer their assistance. The man said the police quickly realized the former mayor was in critical condition and started performing CPR. This man also noticed there were others on the bus that were seriously injured, but he was not sure of the exact number of victims. The first of four ambulances arrived at the scene approximately seven minutes after the serious Massachusetts car accident, and EMTs tried to stabilize Robbins before taking her to a local level-one trauma center. Unfortunately, her injuries were too severe, and she was later pronounced dead on the scene. Reporters interviewed several of the passengers on the bus, and they described the jarring collision from inside the bus. One passenger said he was riding the bus on his way to work at the mall, when he felt the crash. He said the impact caused him to be thrown toward the front of the bus, and he hit his head, although he was not seriously injured. Another rider, who was 27-years-old, said he was also on his way to work at the time of the accident. He felt what he described as a hard impact but was, fortunately, not seriously injured in the motor vehicle accident. The police are conducting an investigation into the crash, and, as our Boston car accident attorneys can explain, the Massachusetts State Police accident reconstruction team will be assisting, as they do with all fatal car accidents in the Commonwealth. Authorities say the former mayor’s silver Mercedes was stopped at the rear of the bus with serious damage to the windshield and front end of the vehicle. For some reason, the passenger airbag deployed, but the driver’s side airbag did not deploy. 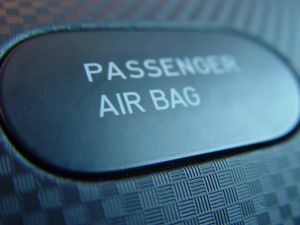 It is not known if there was a mechanical defect or whether Robbins would likely have survived had the airbag functioned as intended, as of this time. Authorities also indicated the former mayor may have suffered some type of “medical emergency” prior to the collision, which might have caused her to lose control of the vehicle. The reason this was speculated was because there were no visible tire tracks or any other evidence the driver attempted to stop or slow down the vehicle prior to hitting the regional bus.